The other day, during a long day at the office, I received a message from Samantha Hall-Saladino, the Education Director of the Shaker Heritage Society of Albany, New York. She had been working on a lecture on pets and contacted me to let me know how much she liked my book. Thanks, Samantha! It’s always nice to hear from a satisfied reader! 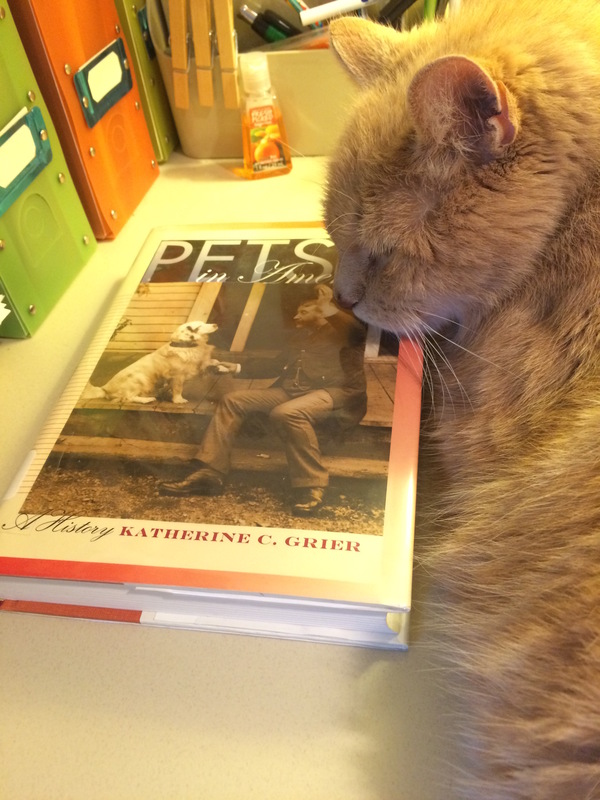 William recommends that you all consider Pets in America for your holiday giving….It is not only a good read, but it makes a very nice chin rest. At any rate, I thought that the photo was so lovely that I could bend my rules a little bit. After all, William is clearly a history-lover. Previous It’s National Cat Day! Loved this……And it is a good gift so why not plug it……from a proud Mom!!!!!! !